The Department of Civil, Environmental, and Infrastructure Engineering educates, trains and motivates young, talented minds in the civil engineering disciplines. 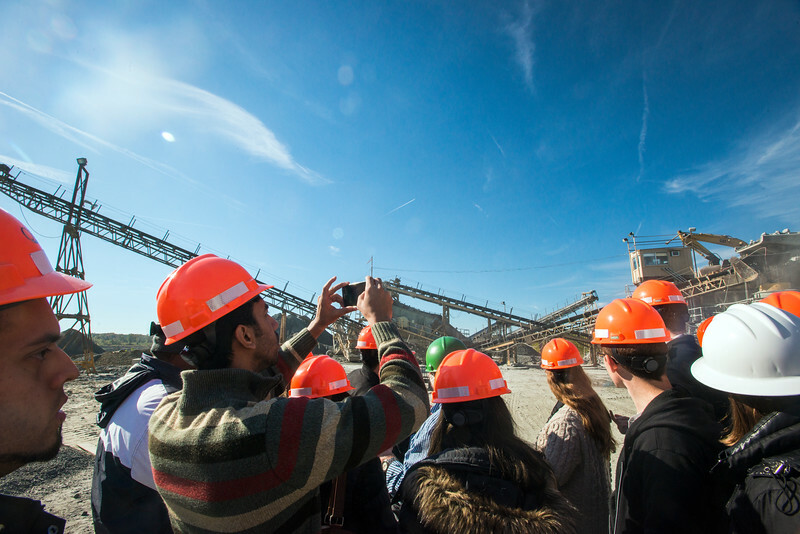 Burak Tanyu's, assistant professor, Engineering Geology class tours the Cedar Mountain Stone Quarry. Photo by Evan Cantwell/George Mason University.